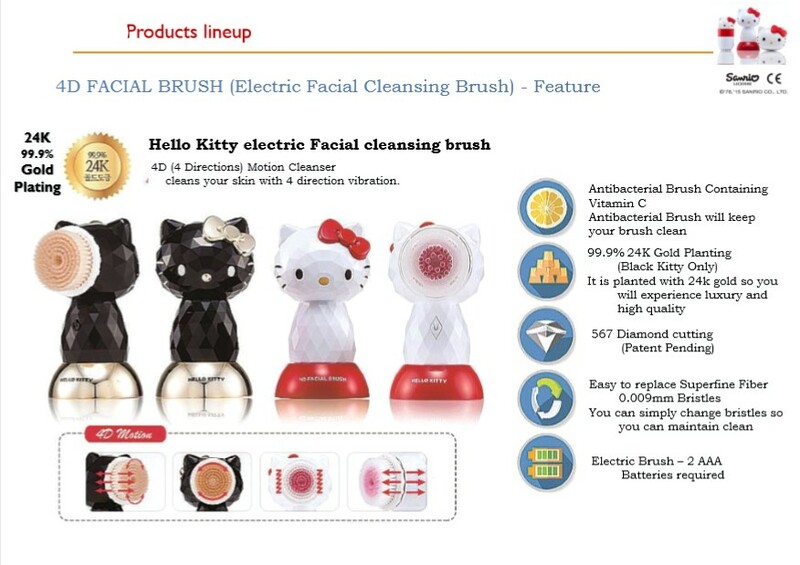 Hello Kitty Facial Cleansers Brush is 100% Made in Korea. Certified by Sanrio company. It is not only cute but also serve many benefit for you. 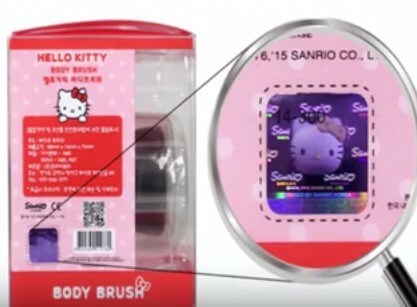 What is so good about this Hello Kitty Electric Brush? Massage – Massage help in improving blood circulation. Good blood circulation make the skin looks younger and healthier. It reduce dry skin problem as well as oily skin. A good blood circulation is essential for healthy skin tone. Face Lifting – By providing rotating movement onto the skin, it make the skin firmer and improve V-shape face. 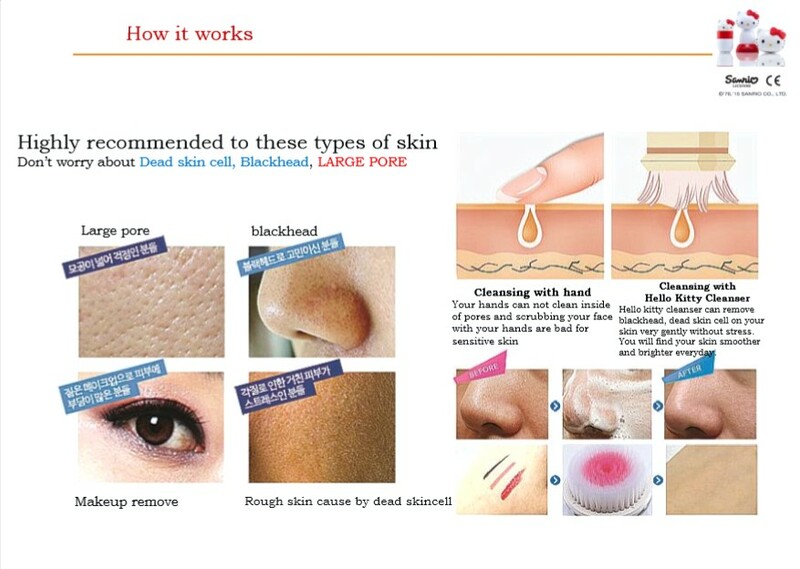 Blackhead and whitehead Remover – The fine thin brush is able to penetrate into the open pore to remove the blackhead. It not only removes and reduce blackhead and whitehead but it also reduce open/ big pores. Relax the mind – Comfortable massaging effect sooth the mind and make you relax. With the up down left right rotating movement. Makeup Remover – Save cost on buying makeup remover. It cleanses so well that it removes all dirt and stain left on the skin. Anti-ageing – With the massaging effect, it helps in reducing and preventing wrinkle and fine line. Anti-bacterial – Throughout cleaning helps reduce and prevent acne/ pimple, whitehead and blackhead. 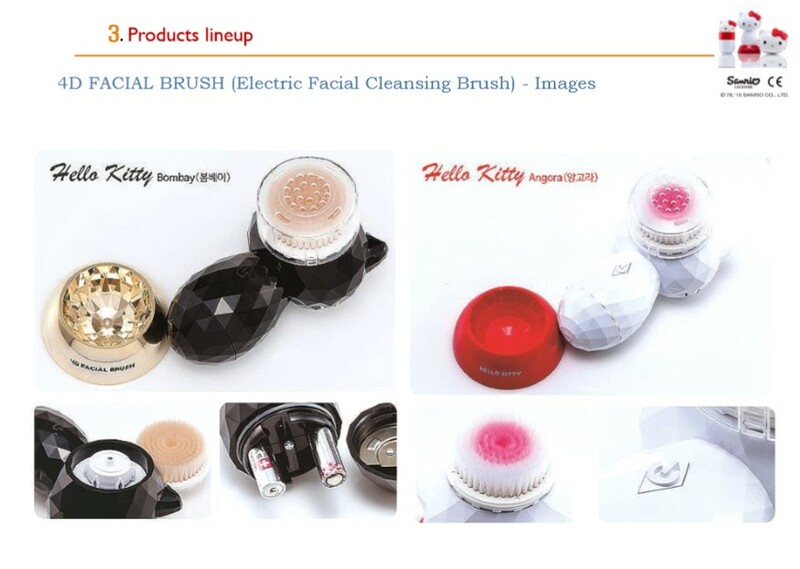 Refillable Brush – Long lasting and 100% made in Korea. Brush is refillable.